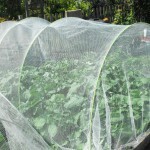 The biggest flexible cloche on the market! 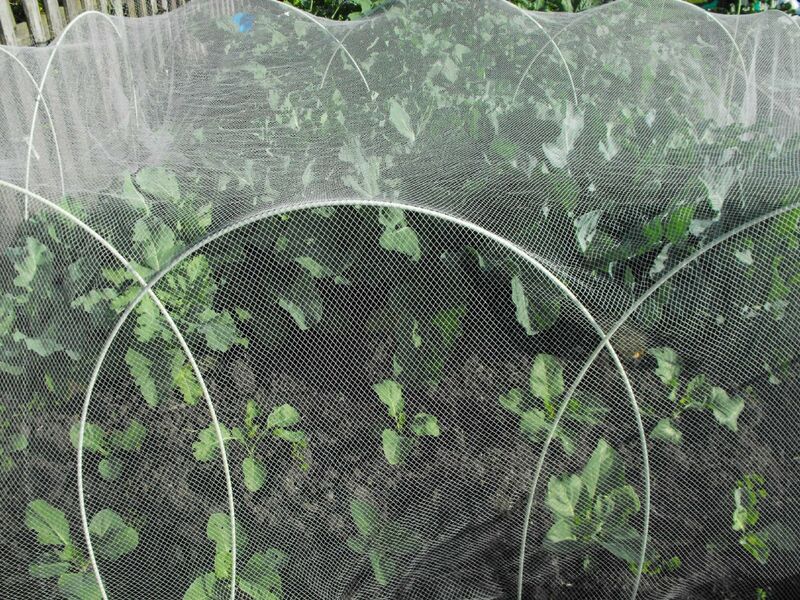 Make the cloche fit the garden not the garden fit the cloche: Low and Wide, Tall and Narrow, Longer and Smaller depending on your requirements. 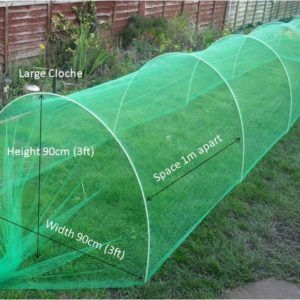 Assemble in minutes kit contains (HDPE) polyethylene anti-butterfly or anti-bird netting, 1.7m x 8mm AA grade fibre rods (3.4m total length when joined together) and fastening clips. 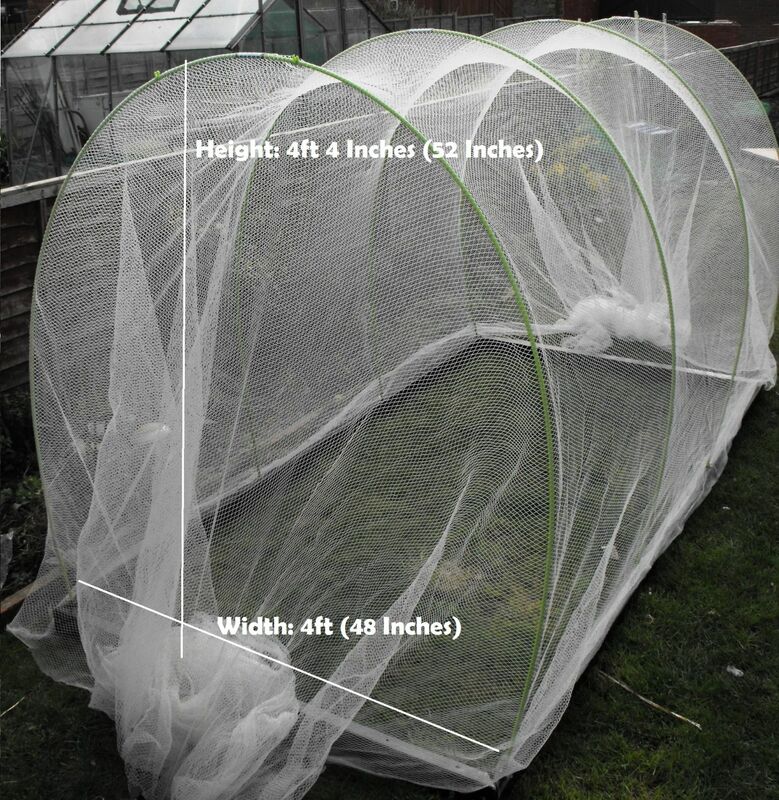 Chose your height and width typical example height 1.20m x width 1.5m. 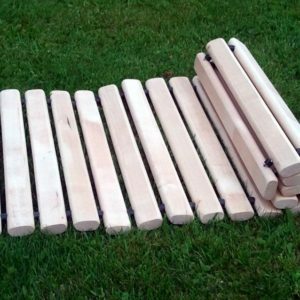 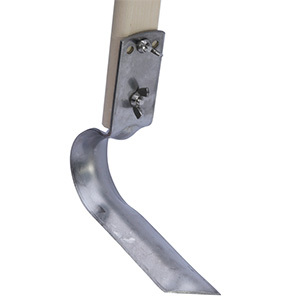 Ideal for wooden raised beds just drill an 9mm hole into wood sides and insert rods and gain an extra 20cm in height. 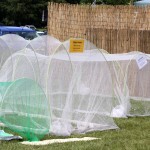 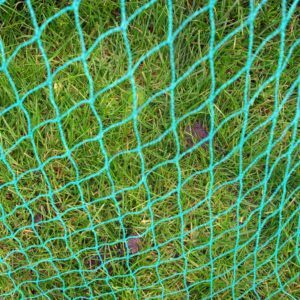 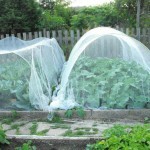 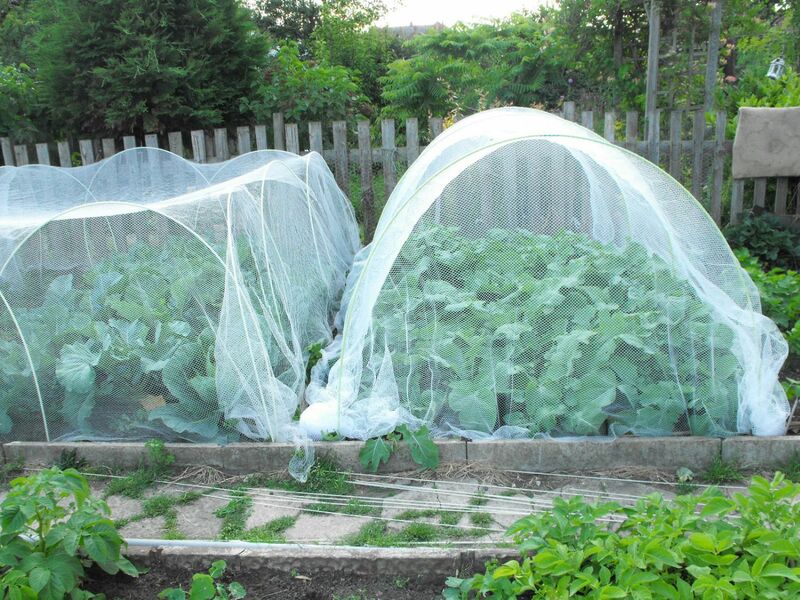 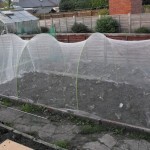 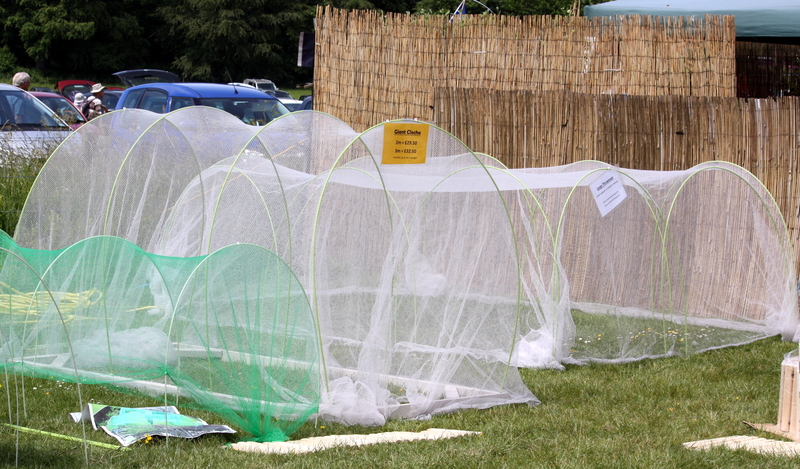 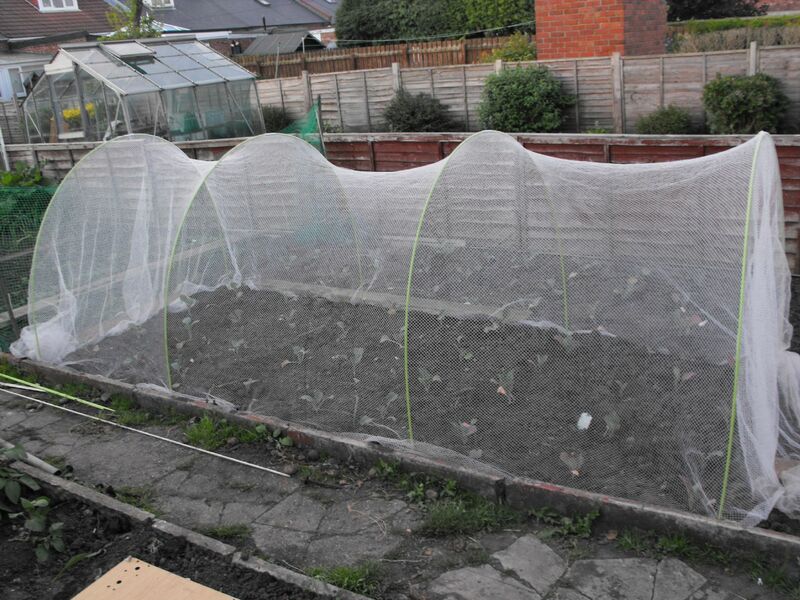 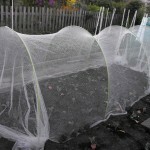 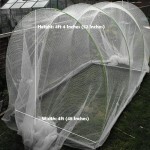 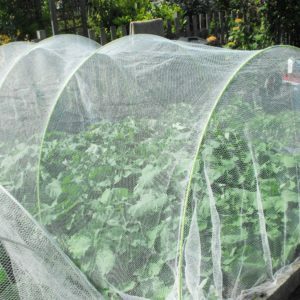 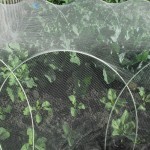 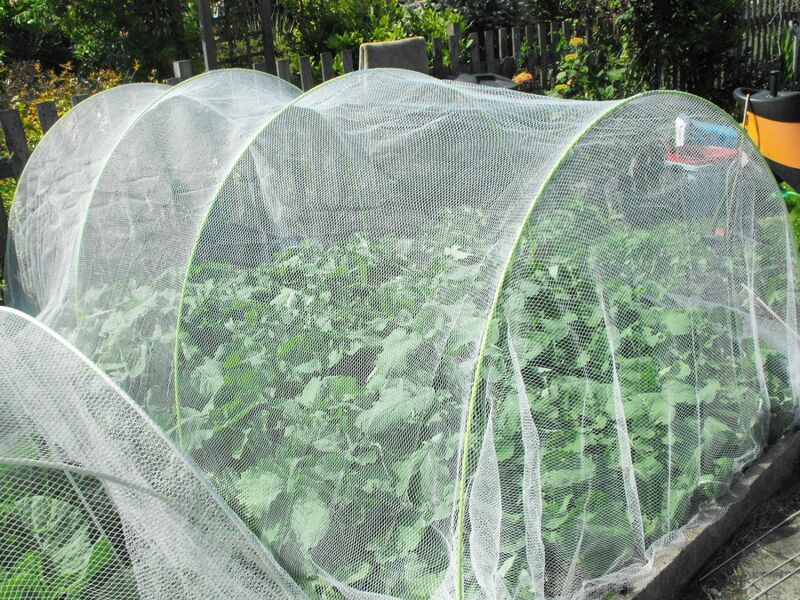 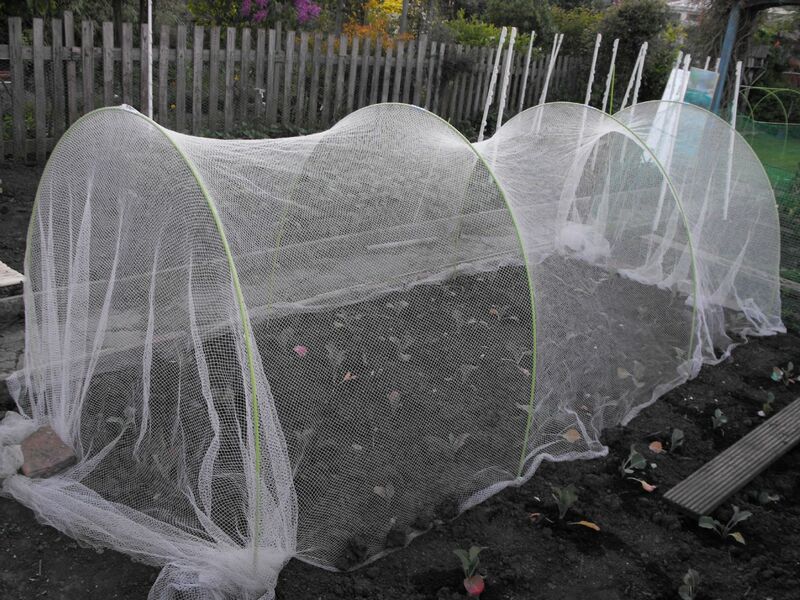 The net we supply with every cloche allows you to go an extra 0.3m in length if required.